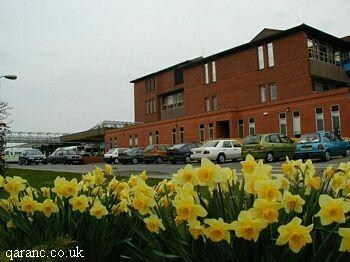 Ministry of Defence Hospital Unit Northallerton (MDHU Northallerton) was opened in July 1999 at Friarage Hospital NHS Trust after the Duchess of Kent Military Hospital (DKMH) in Catterick Garrison closed. In October 2003 it amalgamated with the newly opened James Cook University Hospital (JCUH) which is located in Marton, Middlesbrough and formed the South Tees Hospitals NHS Trust. Military staff are still mostly based at the Friarage Hospital but increasing numbers now work at the James Cook University Hospital including QARANC ITU and A&E nurses. ITU nurse training also takes place at James Cook in association with the University of Teeside.